Season two of the Perth Festival’s Lotterywest Films opens with this documentary about an Australian icon, Geoffrey Gurrumul Yunupingu, who is likely the most celebrated and most commercially successful Indigenous Australian musician to ever live. Gurrumul covers his career as a solo artist, which began burgeoning throughout the 2000s with his well-regarded live shows and his ARIA award-winning debut album, up until his more current work and untimely death in 2017 just before he gave this documentary his blessing. Showing how this blind singer captivated the nation and then the world, this documentary works well as a celebratory piece on this musician and provides a welcoming introduction to those who may not have heard of him. Right from the opening scene, Gurrumul is seen to be fairly awkward with the celebrity aspects that come with his new-found fame, such as the interviews and TV appearances. We see this hesitance come up again and again throughout the documentary, as much as Gurrumul still gladly puts himself in situations to reach a wider audience, but it’s the reason he’s famous that makes this documentary special –his incredible voice and the wonders it can do to any audience, which is put on display for enough time here to really prove why he became an international sensation in the music world. As illuminating as Gurrumul is to his achievements, it doesn’t work well in providing what and how his life inspired the emotional enormity in his music. Amidst the praising of this man, the film avoids delving into any of the darker aspects of Gurrumul and how exactly his blindness played a part in his musical talents. 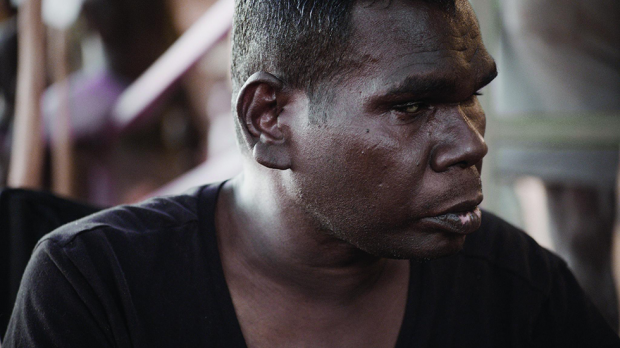 The moments of conflict in the documentary is where it shines the most and show how Gurrumul tracks an unorthodox path to becoming a well-known and well regarded singer. Moments like Gurrumul disappearing just before embarking on his first US tour, causing some well-hidden panic from his management team, and moments like him trying to shift into his comfort zone while rehearsing a cover of Every Breath You Take with Sting – it’s moments like these in the documentary that put it above mere hagiography. This isn’t a documentary with all-encompassing depth, which stops it from being a truly great Australian doco, but it is still a lovingly crafted dedication to the titular man and his unique craft. So soon after his death (which the documentary doesn’t go into detail about), this is sure to widen his exposure even further. Gurrumul plays at UWA Somerville from Monday, February 12 to Sunday, February 18, 8pm, and at ECU Joondalup Pines from Tuesday, February 20 to Friday, February 23 & Sunday, February 25, 8pm.